Chances are, you’ve heard about the benefits of mulching around your trees. Mulching properly can suppress weed growth, help the underlying soil retain moisture, regulate soil temperature, and add nutrient value over time. However, improper application or too much mulch can be detrimental to your trees. 1 ) Get Out the Tape Measure – Is Your Mulch Over Four Inches Deep? Mulch should be no more than two to four inches deep throughout. Finely shredded mulch should be less than two inches deep. Ideally, moisture should soak through the mulch, and the soil beneath should stay sufficiently moist. If the layer of mulch is too thick, it can block essential moisture from reaching the roots of your tree. The same goes for air. If your mulch layer is too thick over the root ball, air will not be able to reach the roots of the tree. If the problem continues, roots may grow up through the mulch in search of air and moisture. This condition, known as stem girdling, can be deadly for vulnerable trees. 2) Are You Practicing Volcano Mulching? Mulch should not touch the trunk or root flare of the tree. Piling mulch against the tree in a cone shape can hold moisture against the root flare and trunk bark, causing bark death, root girdling and more. Piles of mulch can also house pathogens, insects and rodents, which can damage your tree in their own ways. Instead, start 12 to 18 inches from the tree. 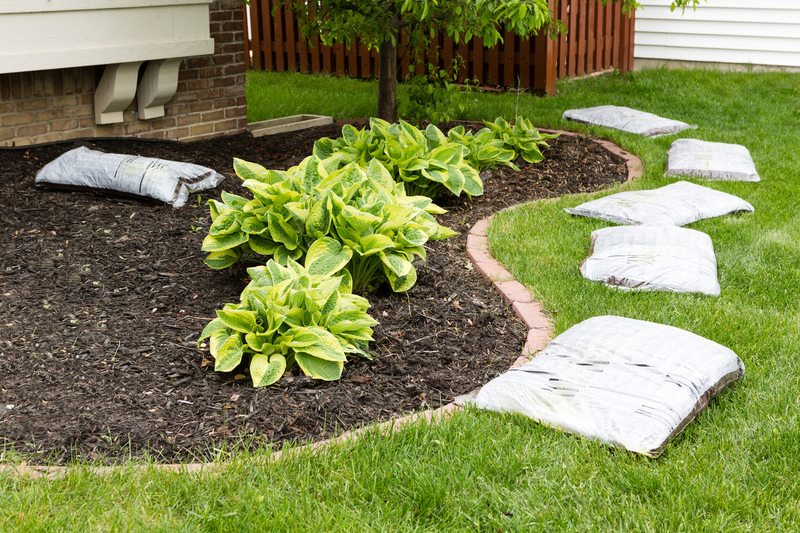 Start with about 4 inches of mulch, then work your way to a 2-inch layer as you move inward. Do not cover the base of the tree with the mulch. 3) Are You Using the Same Type of Mulch, in Large Amounts? Using the same type of mulch season after season, especially while mixing that mulch into the soil, can cause pH imbalances and nutrient deficiencies in the soil. For example, pine bark mulch is acidic and can change the pH balance of the soil if used repeatedly. Mulch should provide benefits for your tree, but over mulching can cause more problems than you may think. Consult with a DiSabatino arborist to determine the types of mulch that are best for your trees, as well as any recommendations for your area. If done properly, much can be a great addition to the aesthetics and the health of your landscaping. Posted in Bulb Planting Tips, landscaping tips, mulching tips, new landscape and tagged Are You Over-Mulching?, Over-Mulching Can Harm Your Trees on March 26, 2019 by Denise Bernstein.